LHC is reporting some major developments today. The latest report said that The Large Hadron Collider has successfully created a “mini Big-Bang”. This was done by smashing together lead ions instead of protons as it was done earlier. The mini Big-bangs were achieved on November 7th which created temperatures a million times hotter than the center of the Sun. 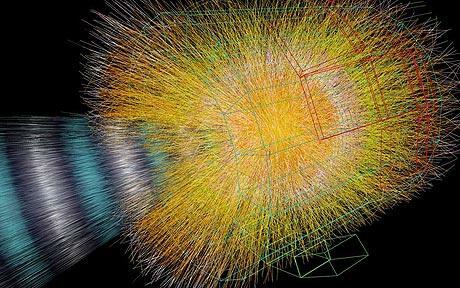 LHC is the world’s highest-energy particle accelerator, has been colliding protons and scientists believed that it would help uncover the Universe’s mysteries. But after this latest discovery, scientists will focus on analysing the data obtained by the lead ion collisions. Scientists say that this will lead to learning more about the plasma that was formed a millionth of a second after the Big Bang. Building blocks of matter include Quarks and gluons and in a state known as quark-gluon plasma, they are freed of their attraction to one another. This plasma is believed to have existed just after the Big Bang. Scientists said after the LHC finishes colliding lead ions it is scheduled to go back to smashing together protons once again.